Journey back to the eighteenth century and discover Fort Ligonier, a reconstructed and restored French and Indian War fort nestled in the historic Laurel Highlands. The original fort, named "Post at Loyalhanna," was constructed in 1758. In 2017, Fort Ligonier’s extensively remodeled its museum to enhance visitors&apos; overall experience. Its updates includes five new paintings added to the art gallery collection, a new History Gallery, a reinterpretation of the St. Clair Parlor and a new George Washington Gallery. Fort Ligonier is home to a rare collection of George Washington artifacts, including hand-written memoirs and saddle pistols, which you can see up-close in the Fort’s museum. 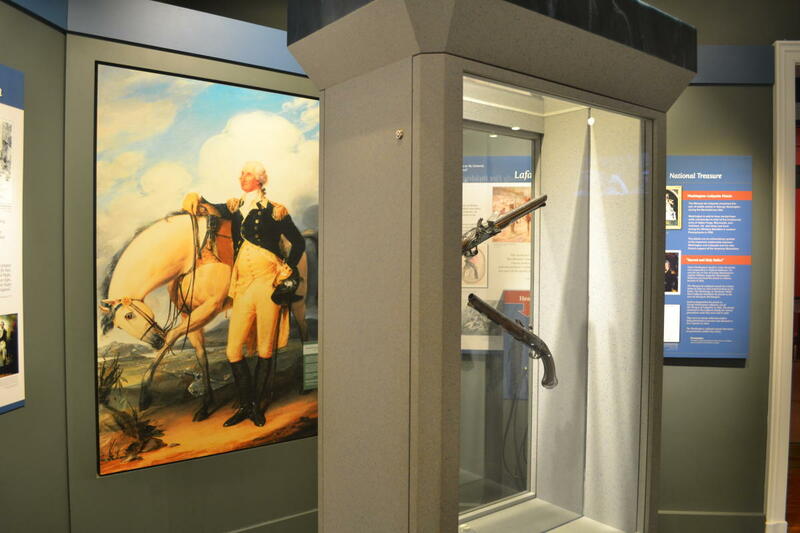 The museum also includes 14 original paintings in the French and Indian War Art Gallery and an extraordinary exhibit, The World Ablaze: An Introduction to the Seven Years&apos; War, with over 200 original eighteenth century objects from around the world. Outside, you will find rebuilt artillery batteries, cannons, wagons and buildings on the Fort’s original site.